Singapore is a world class country I’ve heard a lot about. People told me the streets were super clean, transport systems were reliable, food was reasonably cheap, and all the residents speak English. I was thinking… “Asians who understand English? ?” When I got there, it was more Chinglish than English, but at least it was easy to communicate with the locals. The main reason for visiting, of course, was to see all their high tech attractions. The flights from Sydney were also fairly cheap, so it was the perfect destination for an attraction fest holiday. Here is my Singapore itinerary. Day 0 – Checkin to hotel, Orchard Road. Day 1 – Jurong Bird Park, Science Centre, Snow City. 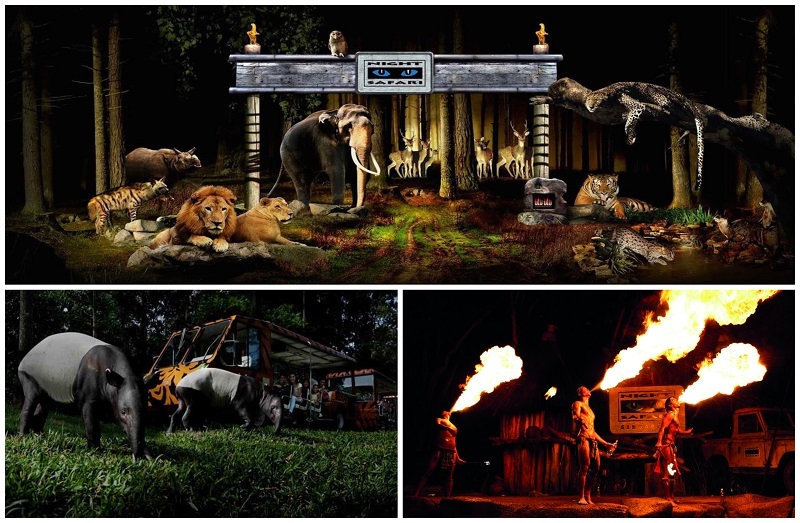 Day 2 – Singapore Zoo, River Safari, Night Safari. 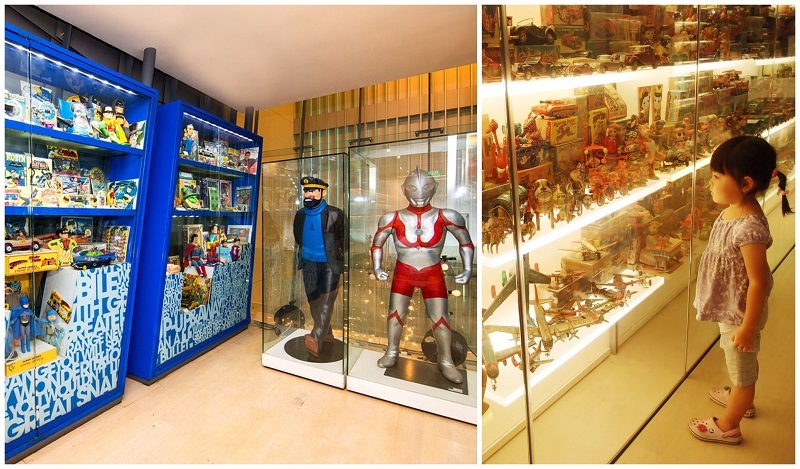 Day 3 – MINT Museum of Toys, National Museum of Singapore, Marina Bay Sands, Singapore Flyer. 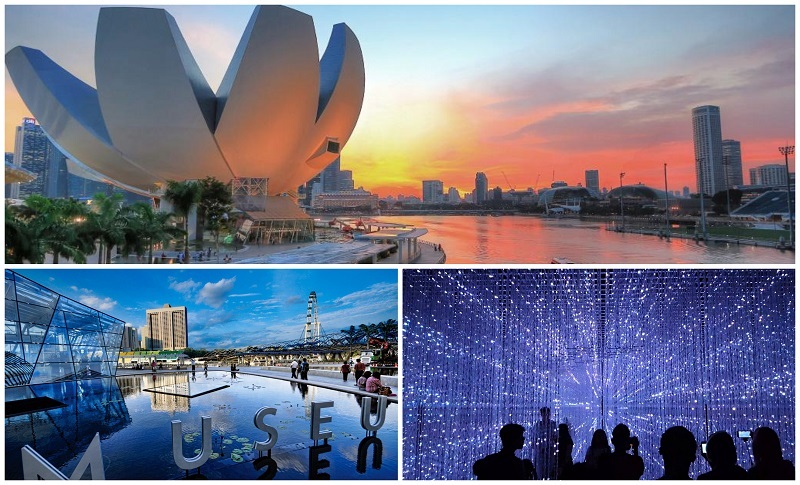 Day 4 – ArtScience Museum, Gardens by the Bay, Sentosa Light show. 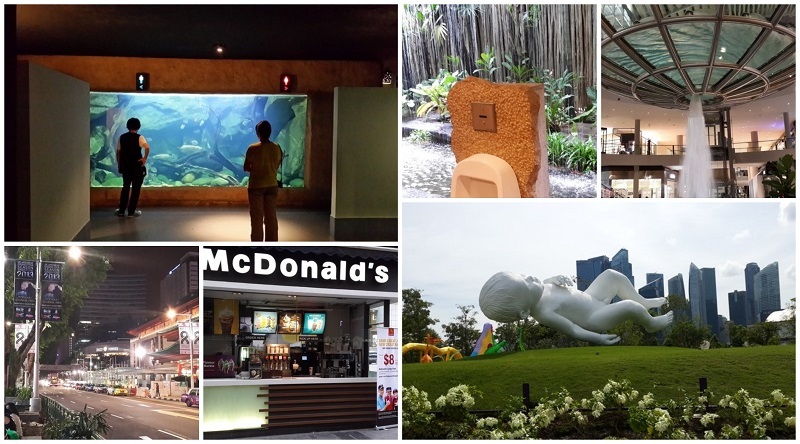 Day 5 – Adventure Cove Waterpark, SEA Aquarium, Maritime Experiential Museum. Day 6 – Universal Studios. Day 7 – Sentosa Activities. As expected from the brief research I did, the checkout process at Singapore Airport was pretty quick. I also rushed through the crowd and beat everyone to the waiting line so that helped. With only a few hours left before bed time, tonight was really about preparing for the adventure ahead and the famous Orchard Road was the perfect location to start. First stop, Mandarin Orchard hotel! There were a few reasons why I chose this hotel. Firstly, it was practically a stone’s throw to all the major shopping centers on Orchard Road. More importantly, [email protected] where I had to go to collect the iVenture attraction pass was only a 2 minute walk, and after a long flight, I definitely didn’t want any complications with further travelling at that time of the night. Also, the SAEx (Singapore Attraction Express) bus to the animal theme parks stopped right outside the hotel; and lastly, since most of the 4 star hotels were practically the same price, why not go 5 star! Most of the shops close fairly late (around 10pm) so there was plenty of time to pick up the attraction passes at the Concierge Services in [email protected]. My first impressions of [email protected] and Orchard Road – busy but clean, great atmosphere, colorful, high tech, good variety of food…so far so good. I had more time to explore Orchard Road the next couple of days and from what I’ve seen so far, looks like I’ve got a lot more exploring to do. Apparently there were 22 shopping centers on the road! This was one of the most impressive zoos I’ve seen that only featured birds. Some memorable moments: free roaming birds, High Flyers show, and the man made waterfall. Unfortunately, I missed the King of the Skies show at 10am due to traffic. There was a second show, but I had to move onto the next attraction. Tip – Make sure you have the correct bus stop and be there at least 5 minutes before the scheduled arrival time. Being the first day on my quest to see all the Singapore attractions, I wasn’t even sure if the SAEx bus was coming… plus I didn’t know what to look for. When it arrives, jump straight on. A staff member will collect the bus fare on the way to Jurong Bird Park. A great place for childish adults like me, but the layout was a bit confusing. I had a tough time finding access to 2nd floor exhibits, and had no idea there was an outdoor area called Ecogarden so I completely missed that zone! It would have been nice for the staff to give out a brochure with show times as well (if they have one?). I managed to stumble across the Fire Tornedo show and Climate Change show by accident. On a positive note though, the Science Center did have a lot of interactive exhibits and I’m sure kids would learn a lot from this visit. 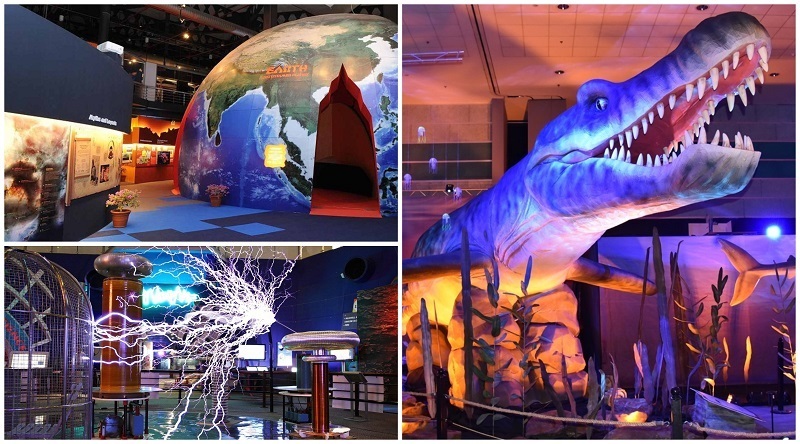 Tip – The SAEx only goes to the Science Center on weekends and times can change. I was planning to catch the 2:30pm bus from Jurong Bird Park direct to Science Center but on this particular day, it was heading out at 2pm. 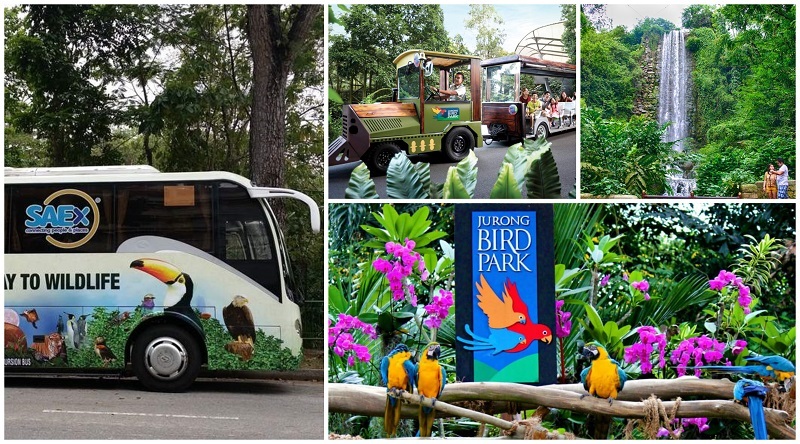 Double check the timetable with staff before you go into Jurong Bird Park. Probably the worst attraction on this trip. Despite having the iVenture attraction pass, I still had to pay for gloves, pants and a locker (no bags allowed). No photos were allowed either since they wanted to rip off customers with their “professional” photographers. Anyway, I made the most of it. Slid down the ice slope twice on a giant rubber tyre and that was enough. Got a bit too cold after 10 minutes. Note – If you’re crazy enough to see 3 zoos in 1 day, bring water, comfortable shoes and get plenty of rest the night before. The start to one of my favorite days since I’m a huge fan of wildlife. 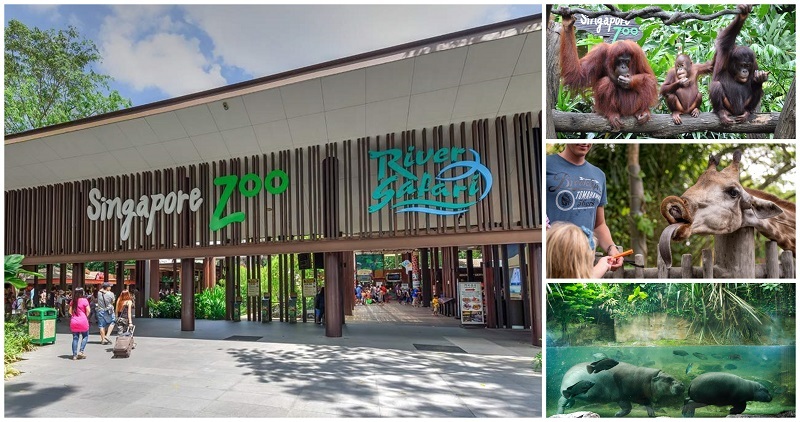 Three major animal attractions at one location and Singapore Zoo was the biggest one out of the three (and in the country). I only just managed to see all the animal exhibits, live shows and have lunch at Ah Meng Restaurant within 5 hours. Its a well run theme park on a massive 26 hectares of land. The only other zoo that tops this, in my opinion, is Steve Irwin’s Australia Zoo (who is also my idol!). Unlike most typical Aquariums, where you walk through tunnels and see fish in mediocre tanks, the River Safari had all their fish in massive tanks with extreme makeovers. The surrounding decor, restaurants, exclosures, building structures and restaurants were very clean. I enjoyed the open air setup, giving clear views of the main river and natural bushland. Even when it rained, the experience wasn’t dampered since there was overhead cover along the main path. The park didn’t open til 7:30pm but it was nice to just sit back, relax, and enjoy a good meal at the food court outside the Night Safari while watching The Thumbuakar Performance. When the park opened, everyone rushed to the Safari ride so I decided to watch Creatures of the Night show first. It was an entertaining 20 minute animal extravaganza but for some reason, I actually expected more. From here I went through the 4 different walking trails (since there was still a queue for the safari ride). In most of the enclosures, there was enough lighting to see the animals, but for some, I had to be a bit more patient to spot them. After a whole day’s worth of walking, the Safari ride was the perfect way to end a day of animal overdose! While my girlfriend was still sleeping, I snuck out for some Singaporean brekky. 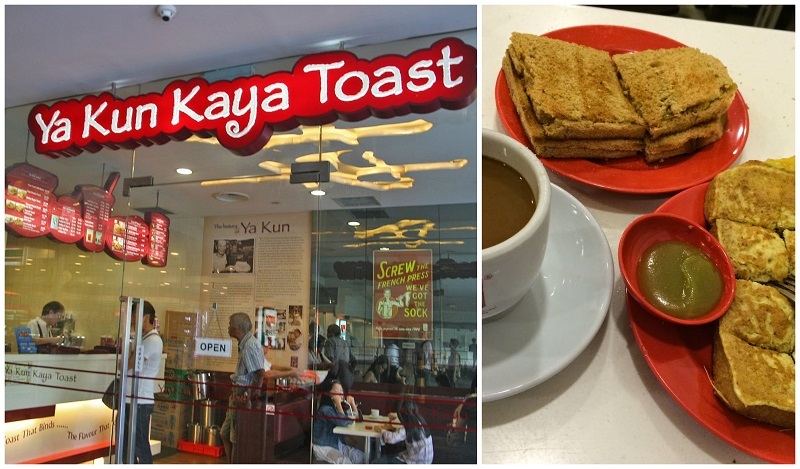 Ya Kun Kaya Toast was the only shop open at the time. If you ever go to Singapore, you have to try this sweet bread in sweet dip thing, with super sweet coffee. I was buzzing for the rest of the day! Not exactly an attraction I was busting to see but it was part of the iVenture card, so why not. After my initial research, my expectations weren’t great. There were only 4 floors of toys. I skimmed through the different exhibits and was done in 30 minutes, maybe less. Anyway, it was a pleasant start to the day. Going to a toys museum was something different I guess. This was where I learnt a few things about Singapore as a country itself. I’m not a huge fan of history and I’m usually too lazy to read brief descriptions on plaques, but the mobile audio guide that came with the admission ticket was very handy. Each exhibit had a matching audio number and explained the significance of events, people and industrial impacts on Singapore. To see how the country grew from its war torn days to the advance society it has in place now, was a real eye opener. I was planning on visiting the Philatelic Museum, but I thought the shops at Orchard Road would be more interesting. Plus I had to get some souvenirs and there were a few bargain gift shops at Lucky Plaza. I’ve never spent $450 for 1 night at a hotel, but since this building was in almost every Singapore related travel advertisement, I had to stay for at least 1 night and see what the big deal was. At the entrance, my jaws dropped. The lobby stretched across all three towers and I could barely see the roof which was about 50 levels up. Staff hurried towards me to collect my luggage while, in the background, three ladies dressed in traditional clothing greeted visitors with music played on their chinese pianos. It took me a good 10 minutes, glaring at the enormous interior, to realize how big this structure was, and to top it off, I somehow got a free room upgrade! Obviously I had to check out their famous skypool. It was another “WOW” moment. A 150 meter swimming pool 57 storeys high with views that could match any skyscraper around the world. I then spent the rest of the afternoon exploring the Shoppes at Marina Bay Sands. Seeing the city lights shining at night from an air conditioned cabin on the giant ferris wheel was not the only highlight here. 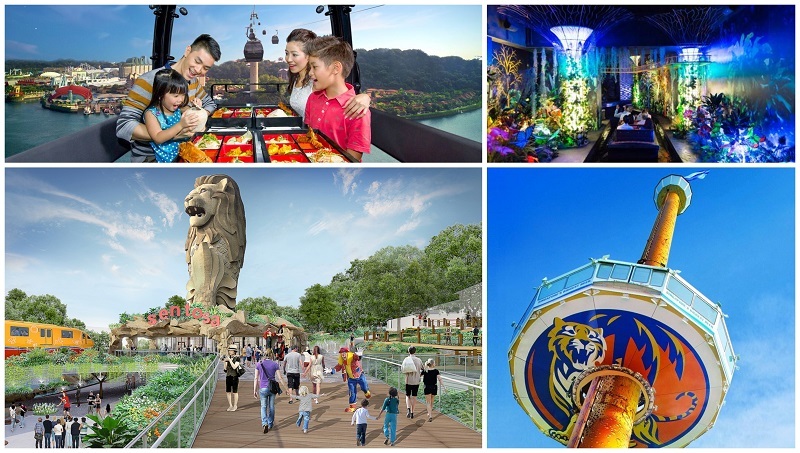 What made it an even better experience were the interactive exhibits and displays in their new attraction “Journey of Dreams” which did a good job introducing how the Singapore Flyer came about. Before going to the flyer, I had dinner at the hawker food court on the first floor where there was a variety of food, desserts and alcoholic beverages. There were also other shops and activities on the second floor like 6D ride (it’s really just 4D…what are the other 2 dimensions?) and plane simulator. 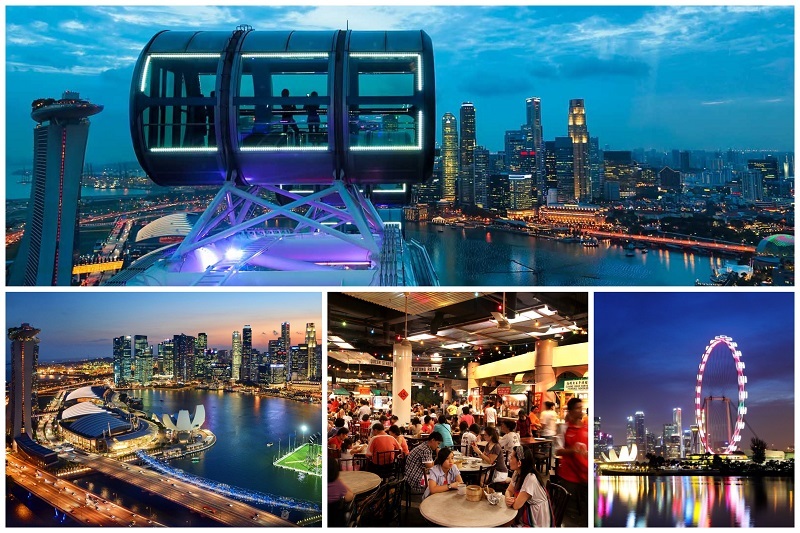 Overall, a pleasant atmosphere and memorable skyline viewing from the Singapore Flyer. Time to catch a cab back to Marina Bay Sands. I was pretty tired, but I still found enough energy to check out the casino nearby. Unfortunately, no photos were allowed inside. Sometimes I’d play dumb at museums, but at a casino with over 100 cameras capturing everything inside those doors, I wasn’t going to take the risk. After that, I spent the hours til midnight at the scenic skypool to check out the Singapore night view again. The building structure was worth seeing. The temporarily exhibits on display though, were a bit pricey. I didn’t think it was worth $20+ so I only chose 1 exhibit to see: the Mummy. There was a short 20 minute introductory 3D movie, before doors opened to a variety of ancient Egyptian artefacts, including the mummy featured in the documentary movie. There wasn’t too much interaction. Simple exhibits displayed and lots of reading. I wasn’t in the mood to read and left within the hour. No photos were allowed inside either so that was even more of a let down. Probably one of the best attractions in Singapore, Gardens by the Bay was definitely a place I wanted to see up close. 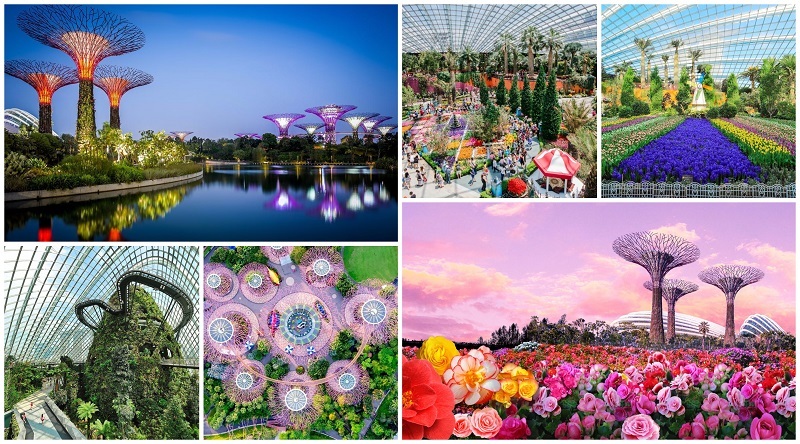 The highlights: walking on the Supertrees OCBC Skyway, seeing thousands of colorful flowers at the Flower Dome, and breathing in the fresh air as I walked down from the artificial mountain in Cloud Forest. Both domes were completely air conditioned and incredibly maintained. As for the rest of Gardens by the Bay, I took the lazy option and cruised around the different zones on the Outdoor Gardens Audio Tour. Its the last hotel stop for this Singapore trip. Even though it was classed as “5 star”, it didn’t feel like a 5 star hotel, especially after leaving Marina Bay Sands. The room looked old, carpet was a bit dirty, and the shower had patches of mould. Decoration was non existent as well. Netherless, it was the cheapest accommodation I could find on Sentosa Island and it was close to the beach. Having breakfast buffet included was a plus. This was something I’ve never seen before. At the time, I watched Songs of the Sea (now “Wings of Time”). 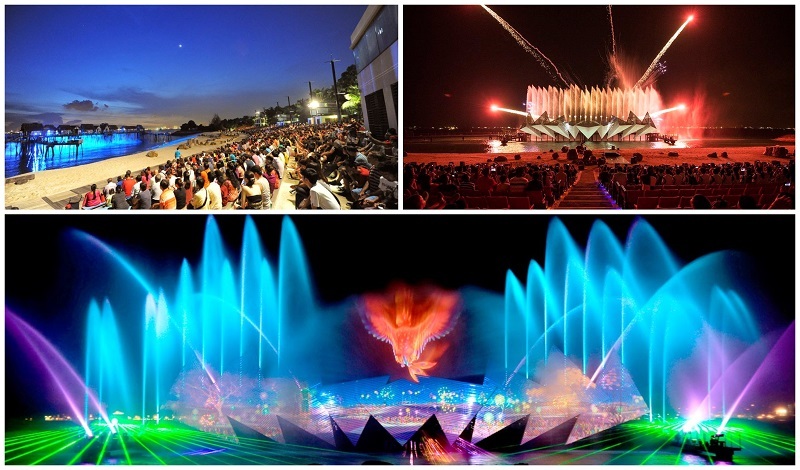 It had a cringe worthy story line, but the lights, water and fire display were amazing. All these elements were well choreographed with the music. It’s only a 20-25 minute show, so the rest of the night, I strolled around Beach station watching Buskers perform. I bought 1 day pass for Adventure Cove WaterPark and SEA Aquarium. Short line for the WaterPark in the morning. With the hot and humid weather conditions in Singapore, this was the perfect attraction for me to relax. I wasn’t really interested in lining up for any slides, although I did line up for Rainbow Reef where there were hundreds of colorful coral fish. Surprisingly the park didn’t have many slides compared to other water theme parks I’ve been to. My absolute favorite was the Adventure River. It was a peacful and gentle stroll on a floating tube down a river, passing water falls, tunnels, caves, and fish exhibits. From an attraction point of view, size does matter! And there were 2 real highlights at both these attractions: the massive ship at the entrance and seeing the biggest fish tank in the world! SEA Aquarium was a bit crowded but I still managed to see each exhibits since most of the fish were in big tanks. As with all areas in Singapore, both attractions were extremely clean, nicely decorated, and organized. It would have been nice if the 4D Typhoon Theater movie was free though (or at least a bit cheaper). Before entering, I was already told that the 2 rollercoasters at Sci-Fi City were closed for maintenance. If I was still a teenager looking for thrills, I’d probably be upset, but I was more than happy to just go on the other rides and take in the atmosphere. Each zone had 3 or 4 major attractions. There were quite a few kiddy rides, especially in Madagascar and Far Far Away. Even though the rollercoasters weren’t available, there were still some fast paced rides like Revenge of the Mummy, which took you on board an indoor rollercoaster, speeding through a maze of ancient Egyptian exhibits in total darkness. The Transformers Ride deserves a special mention. It was the most insane 3D action sequence I had ever experienced! The automobile swung from left to right, crashed through skyscrapers, tunnels, robots, and ultimately dropped from a high rise building. It was the only ride I went on twice. If I didn’t have the express pass, I would have waited for an hour for this. There were also 2 shows worth highlighting. In the New York zone, “Lights, Camera, Action” show had a crazy hurricane sequence and demonstrated how special affects were created for big budget movies. At Lost World, the Waterworld show had live stuntmen jumping from high platforms and perform action sequences. Everyone sitting at the front of the stadium were guarenteed to get wet from comedians squirting water. It was definitely one of the most entertaining and interactive shows I’ve seen at a theme park. Time for some retail therapy at Vivo City shopping center, the entrance to Sentosa Island. Like most Singapore shopping centres, Vivo City was massive. The shops were mostly afforable international brands. There was also a hawker food court right near the entrance of Sentosa Station. First stop, Singapore’s iconic half lion half mermaid, Merlion! It was the closest attraction near Imbiah Station. I bought a nice vanilla ice block before heading through to the exhibits. A short movie explained how the Merlion came about. Then up to the roof I went, snapping a few scenic photos. This was like a real life comic strip explaining Singapore’s history. There were countless exhibitions of wax figures portraying celebrities, different events and some allowed visitors to step inside for photo opportunities. You’ll also get to experience a magical boat ride as you see Singapore’s sparkling history on this journey. Another scenic ride, but this time, cruising between Sentosa and Singapore mainland in a cabin. I could see dolphins training at Adventure Cove and some really nice hotels with private pools and water views. The cabin wasn’t air conditioned but there was a decent breeze coming through. At Mount Faber station, I casually explored the area in 15 minutes then hopped back into the cabin for the return trip. There was a function so I felt like I was intruding. I think the restaurants were all booked out for a wedding. Grabbed a quick bite outside the Butterfly Park. There were only a couple of options and the cheapest was pizza. The other restaurants were a rip off! More negatives than positives at this park. It didn’t quite meet the high standards of most Singapore attractions. For a “Butterfly Park” there were bairly any live butterflies (lot of dead ones in picture frames though); I also remember a poor rabbit looking extremely sad in its enclosure; and the general environment looked a tad dull. Three 4D rides here and I didn’t have to wait too long to experience all of them. The “Dead or Alive Desperados” was my favorite since it was so different to other typical 4D movies. There were 30 people in the theatre sitting on their own fake horses competing to see who could shoot the most coyboys. Riding on a fake horseback and shooting the baddies was fun, but I think my gun was faulty! I’m pretty sure I was on target! By this point, I was absolutely exhausted. The Nature Discovery was free, so I strolled down to have a quick look. No one was around, no staff…nup, stuff it, my legs can’t handle a bush walk right now. I’m sure I would have enjoyed this if I had a bit more rest. This was basically my express pass to the bottom of the hill where Silosa Beach hotel was. The line was long, but it moved pretty quick. Within 10 minutes, I was at the front, jumped in a luge, and off I went. I chose to stroll down the advance course, since I’ve done it before in New Zealand. If I wasn’t running out of time, I probably would have gone back up the chair lift for another ride. Its the last attraction! Might as well get the most out of the Sentosa attraction pass, even if my body was about to shut down. I got a quick lesson on how to ride the segway from an instructor. I did 1 lap around their mini course and that was it. Done! I’m outa here. 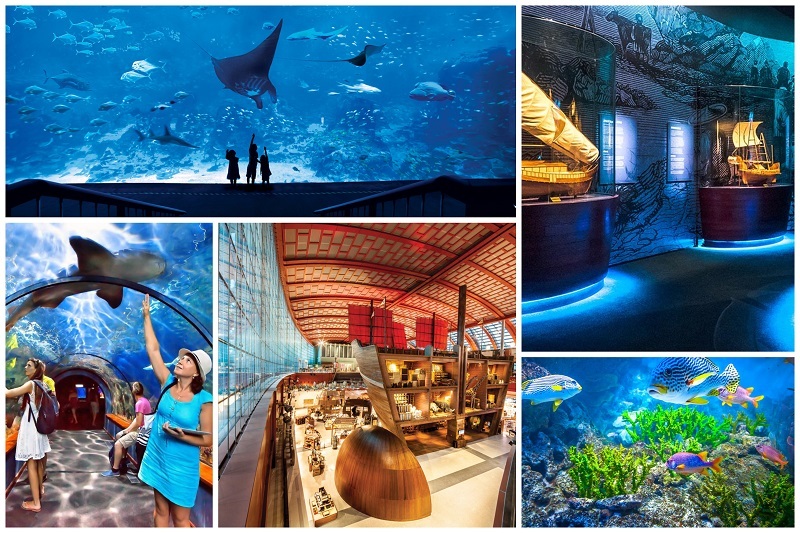 As you can see, there’s a lot to see and do on Sentosa Island. If you prefer to have everything organized for you, it’s best to book a tour where a personal guide will show you the way to all the attractions. Toilets – All toilets in the world should follow Singapore standards. Most of them had at least one side open to the outside. No more smelling farts, pee or other body secretions. And yes, someone gave me a confused look for taking a photo of the toilet. At the Night Safari, they even had an aquarium outside for visitors. Why Not! 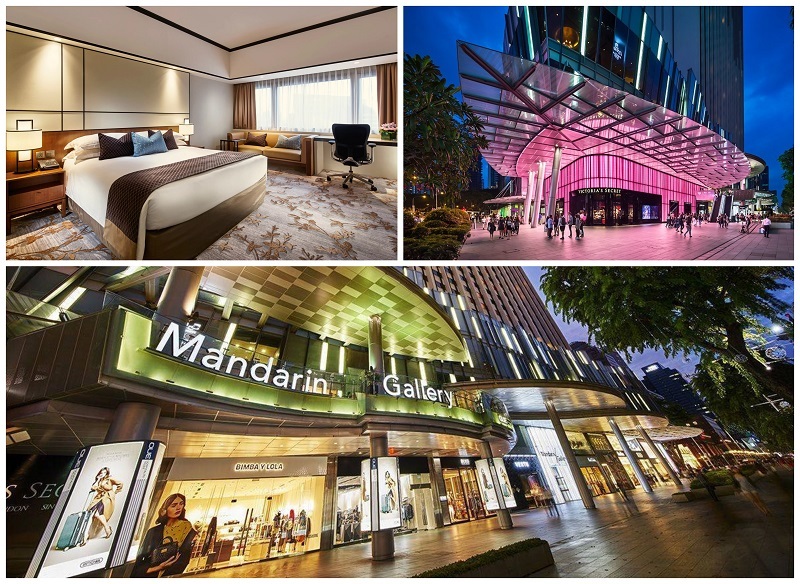 Orchard Road Shopping Centers – 22 shopping centers on one road. Hmm, sure that’s enough? Macdonalds – is this the smallest Macdonalds in the World? I had a chuckle to myself when I saw this. No Rubbish – What would happen if I accidentally dropped a piece of paper?? Would I be arrested? Would the locals think I’m a dirty foreigner? At Gardens By the Bay, I injured my knee on an escalator. On the way down, I stupidly ran back up to try and capture a photo of a giant screen, which I only noticed after descending a couple of meters. The result, a deep cut strait into my knee and it didn’t stop bleeding for the next 4 days. It bloody hurt! But that didn’t stop me from enjoying the rest of the trip, even if I had to endure the pain. Singapore has literally left a mark on me, and I’d be happy to visit again one day. Next time though, I might take it easy on the attractions. 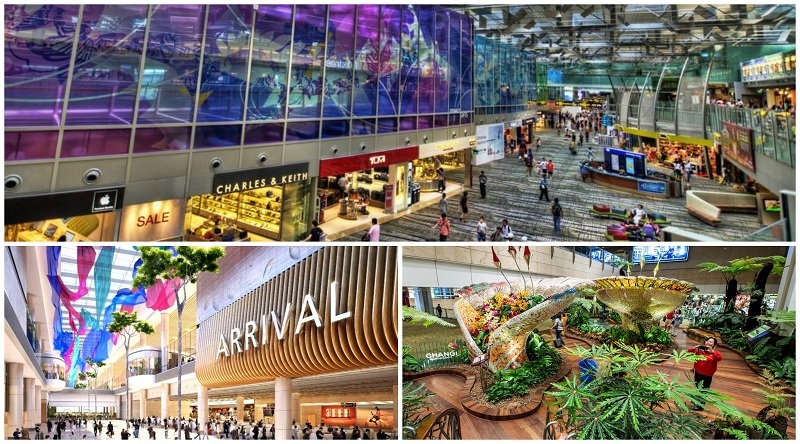 I definitely went overboard for this 7 day Singapore itinerary. If you’re not sure how to plan your next Singapore itinerary, let me know and I’d be more than happy to assist! Just leave your comments here. Or you can have a look at other amazing tours on offer. Singapore is such a small but lovely country. 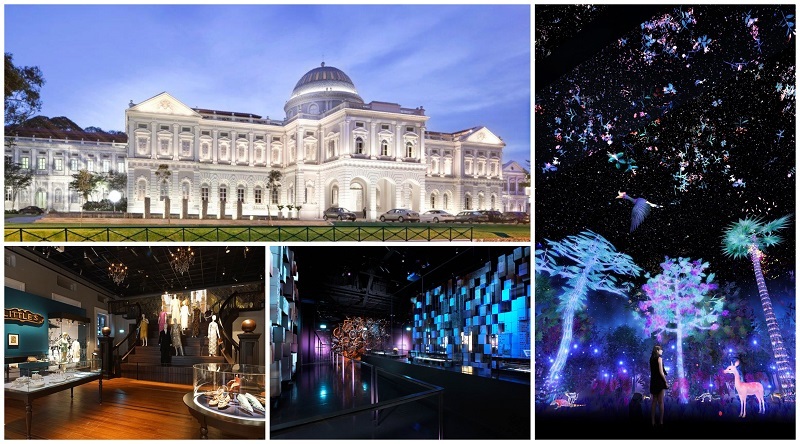 Aside from these major tourist attractions there are other activities to do: go food tripping at the many different hawker centers in Singapore, or go Cafe hopping (there are a lot of cafes in Singapore waiting to be posted on Instagram :D), go on a walk to see the different Peranakan houses in the city and the different architectures in the city. Definitely a must visit country! 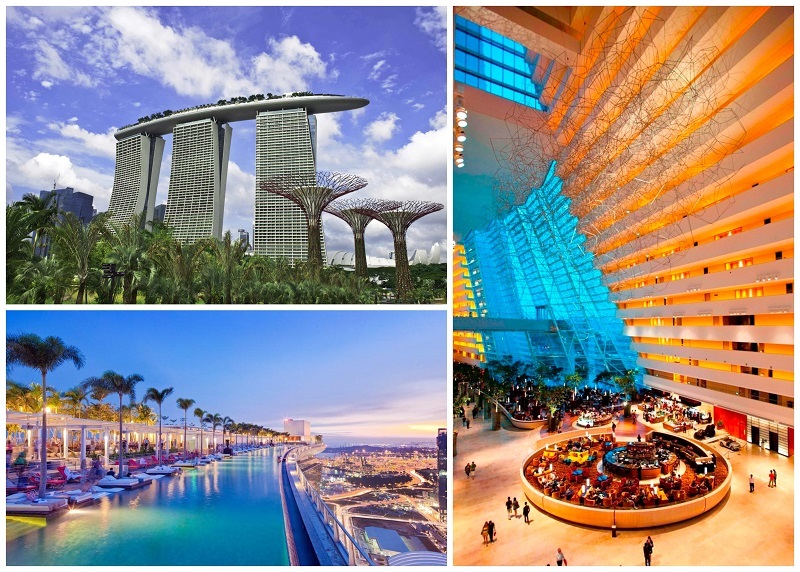 By far the best itinerary for a week of visiting Singapore that covered the amazing performances at Songs of the Sea and Waterworld. Shopping destination, Vivo City Shopping Center was an awesome stop for branded goods with plenty of choices available. The restaurants and food options are never ending as well. Singapore is the smallest country in Southeast Asia. But the country is very modern. When visiting Singapore come to Merlion Park. The landmark of Singapore. What amazed me was the Skypool on the 57th floor of the Marina Bays. It’s amazing views of Singapore seen from 57 floors. Amazing, cannot be said with the words. You should try it. This article is great! I am amazed at how much attractions you were able to go to and the detailed schedule is very much appreciated. I have been to Singapore twice but I haven’t been to most of the places you included here. It is nice to know that a lot of those places that I failed to visit before are included in the iVenture Pass. I might try getting one on my visit this coming March 2018. You’re going to love Singapore! With 3 kids, I wouldn’t recommend you follow my itinerary…it was quite tiring even for young adults. I would suggest you stick to 1 attraction per day and leave some time late afternoon for rest, then possibly see something else at night if your family has the energy. 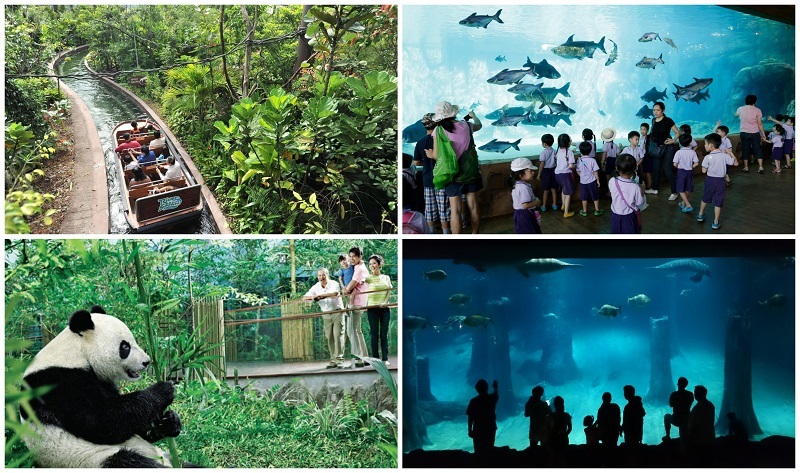 1/ Singapore Zoo: It will take a whole day to cover the zoo, especially if the kids want to play in the wet area. Keep in mind they have maintanence on 4th of July. 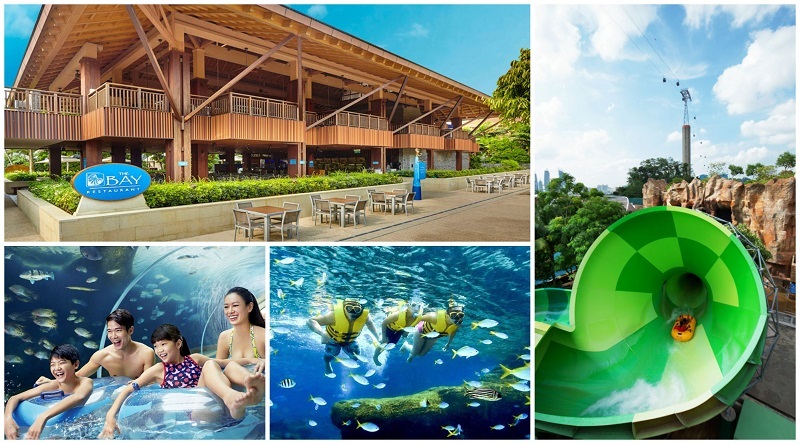 2/ Adventure Cove Water Park: Another great place to relax since its always hot in Singapore. If you have energy in the afternoon, it’s worth visiting SEA Aquarium. I’ve been to many aquariums in Asia, and I honestly think this is the best one. 3/ Sentosa: You can easily spend a day or 2 here. If you have a Sentosa pass or 3 or 5 day iVenture card, do not go to Mosh! I know this is for kids, but at ArtScience Museum, Future World is the same thing but 10 times better. Trick Eye Museum is also great for photos and memories. 4/ Science Center: Great for education. A lot of interactive exhibits and could easily sped 3-4 hours here. Don’t go to the Snowcity next door. Its expensive and there’s basically nothing to do inside. – Gardens by the Bay is beautiful. 2 massive airconditioned, state of the art garden domes, however, Im not sure if the kids can appreciate it. 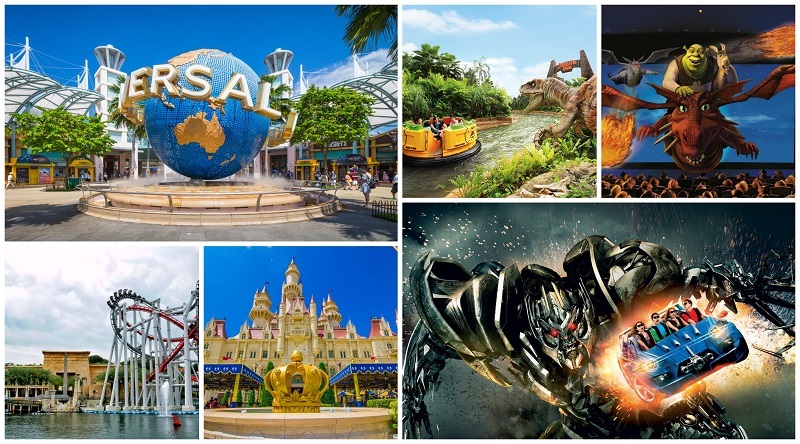 – Universal Studios is a fantastic theme park and theres a section for kids, but it is quite expensive. For you and your husband, I suggest going to Singapore Chinatown and see the Buddha Tooth Relic Temple and Museum. This is free! Chinatown is also a great place to buy cheap souvenirs and there are plenty of food options. A number of restaurants have the famous chilli crab, just make sure you shop around. They have different prices. The kids will be occupied if you buy them dessert. Let me know if you have more questions leading up to the trip. Need some help for our 7 days Vacation trip to Singapore this July. Me and my husband along with our kids (ages 9, 8 and 1). Should we follow the same itinerary? Loved the narration. Have been to Singapore twice before and your experience made my live them all again! Will definitely share this with others. Day 1 Chinatown: I spent almost 5 hours seeing everything. Shopping was great. So many souvenirs and cheap deals. I bought almost 20 different luggage tags to take home for family and friends. Visiting the Buddha Tooth Relic Temple & Museum was also worthwhile since it was free!. There were plenty of food outlets to try chilli crabs and strange desserts. Day 2: Singapore Botanic Gardens. This place is huge! You’ll definitely need to bring a hat since it’s always hot in Singapore. It would have been better if they had free or paid transport within the park. Nice place but just too big. I was exhausted at the end of the day. Me planning the trip to Singapore in coming April season . We will be total four families and planning for 7 days like you . Should we follow the same itinerary or being a large group should cut down on some of the attraction? Thanks for all your input …. If you have kids with you, I would suggest cutting back on some of the activities. It was quite an excessive itinerary and it will be difficult for a larger group. Have a couple of half day plans in between, maybe day 2 and day 5, but it’s completely up to you. It depends on where you want to go. I just grouped all the attractions that were close to each other and saw them all in 1 day. If I couldn’t see everything in 1 day (like Sentosa), I stay a couple more nights. It just depends on what you like. Any ideas on what you want to see in Singapore? Hey.. just one glance through your site has helped me sort out my entire trip. Though, need some info on the iventure card. can i email you? …but yes, absolutely send me an email if you have questions.